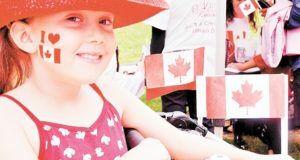 On June 1, Music in St. James Park launched its sixth season with a barbecue provided by St. Lawrence Market merchants. 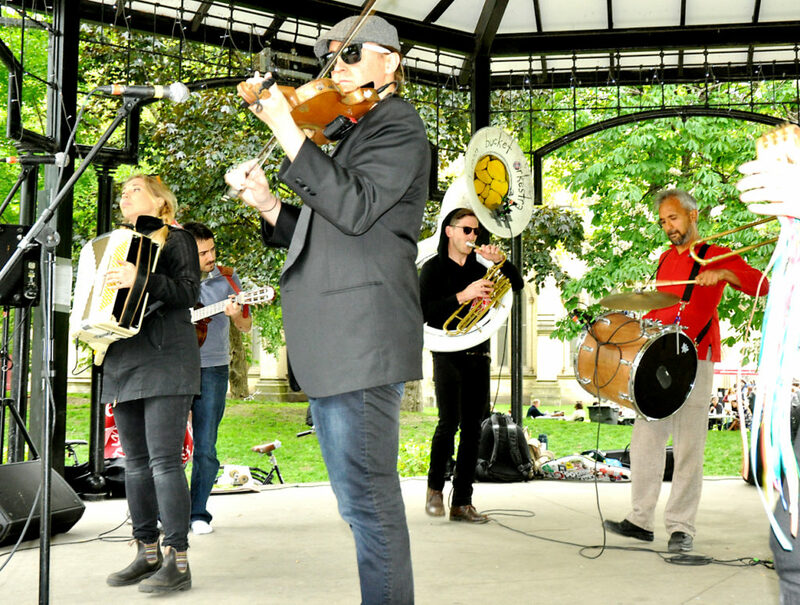 The band Lemon Bucket Orkestra played in the park’s gazebo. 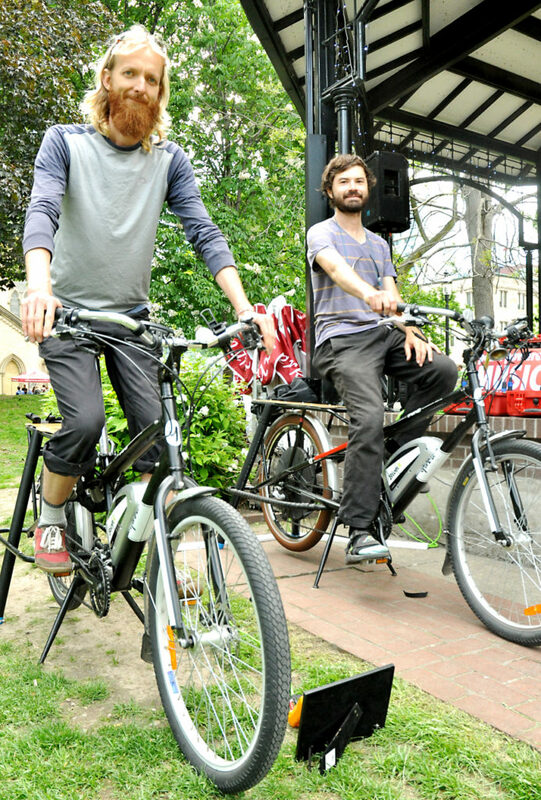 The sound system was powered by two cyclists from Tune Your Ride. They pedaled stationary bikes to generate electricity. 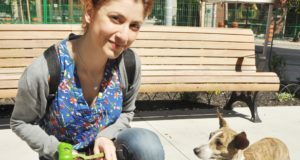 The evening concerts, presented by the St. Lawrence Market Neighbourhood BIA, run Thursdays from 7 to 9 p.m. into early September. Music will cover an array of styles including folk, jazz, funk, swing, chamber, reggae and more. Visit oldtowntoronto.ca to find out more. 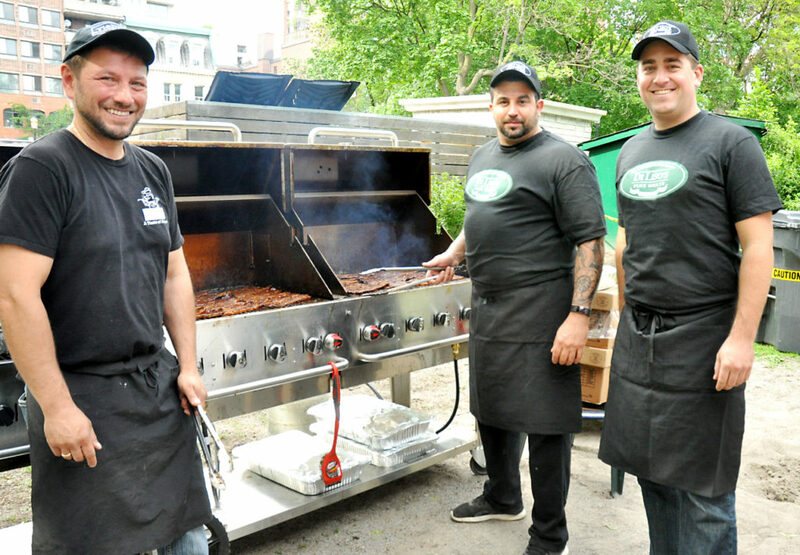 St. Lawrence Market barbequers Yianni, John and Jamie. Lemon Bucket Orkestra performed in the gazebo. 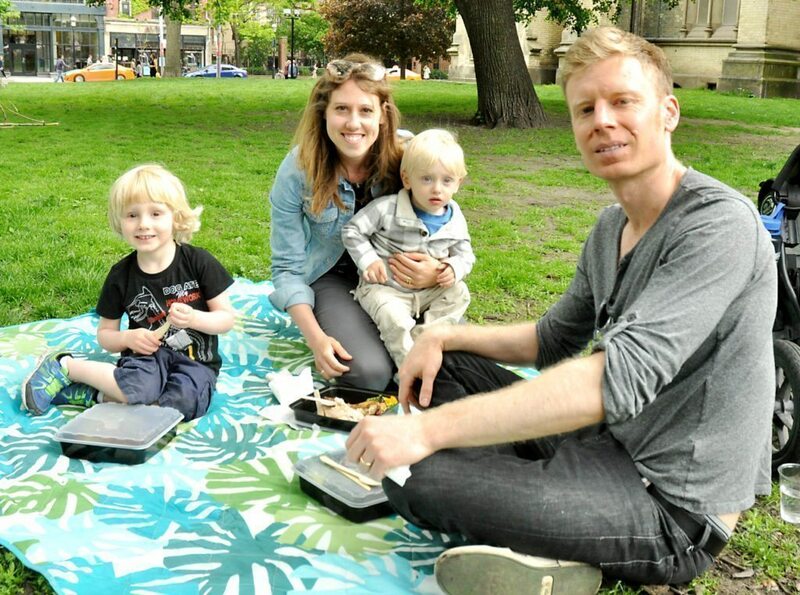 The Furey family enjoyed the barbeque dinner on a blanket spread on the grass. James Davis and Bobby Gadda pedaled bikes to power the generator. Next: Is Hotel Victoria checking out?